I said goodbye to my friend AJ the other day. We shared a drink at one of our oldest haunts in downtown Amsterdam central, a lively hotel bar which offers an overly generous happy hour deal we’ve been taking advantage of for the improved part of a year, and he smiled as I expressed the thought he’d be sorely missed. “I’ll be back”, was his lackadaisical reply, and he’s right – he will be. AJ is one of many expatriates in Amsterdam who doesn’t work static jobs in the city. Instead, they arrive for the tourist season, quickly find jobs, work until the season ends, and then head home. These ex-pats are tour guides leading activities like the “do it yourself tour Amsterdam”, the multi-lingual guides aboard the dozens of canal boat tours that wander through the city. They work in cocktail bars, as bar guides and as nightclub staff. But at the end of the season, when there aren’t enough tourists in town to organise a “do it yourself Amsterdam tour” around, they head home, or, increasingly, to other holiday destinations. How do these migratory employment patterns work? Despite the fact they leave every few months, most expatriates have a selection of their favourite cities or countries to work in. AJ, for instance, has been hopping back and forth between Canada and Amsterdam for almost 5 years. As a result, the expats develop a good deal of local knowledge that makes them able to carry themselves like locals – employers don’t have to spend time waiting for them to acclimatise. Expatriates tend to work the same kinds of jobs wherever they go, and this builds a solid base of skills that are easily transferable from job to job. Without putting too fine a point on it, if you’ve worked in one bar, or on one “do it yourself tour Amsterdam”, or in one nightclub, you’ve mostly worked in them all. However, unlike the other traditional occupants of hospitality roles (students, young people living with their parents, part-time employees), expatriates are full time and take their jobs seriously as the source of their rent. 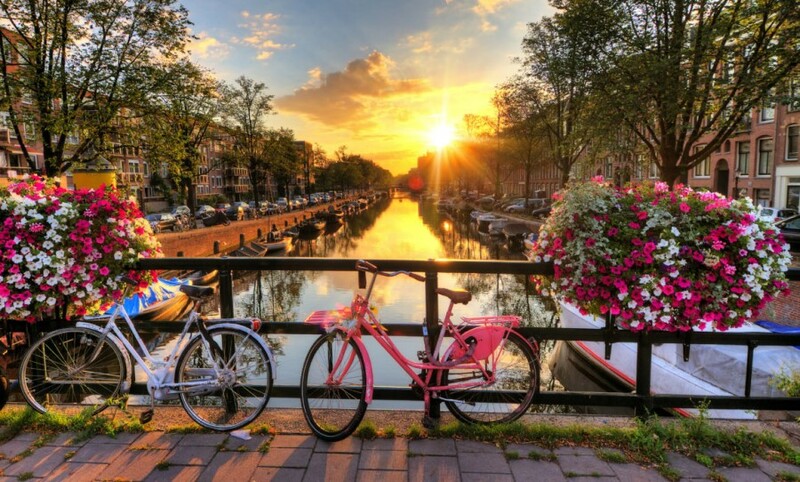 Many employers in Amsterdam like to use expatriates for staff precisely because they are going to move on. This means that business can guiltlessly shed staff during quiet periods. Also, a lot of expatriates continue to work for the same places, returning during busy seasons with all the experience they built you [ the year before – far more appealing than training a new staff member during a crucial business period.